For my first post of 2015 I'd like to address the matter of tooting our own horns. That's right - telling the world that we are loud and proud to be independent stylists with this amazing company Stella & Dot! And there is no better time to be bragging. Our fabulous CEO and Founder, Jessica Herrin was a hit on CBS' Undercover Boss last week [Did you miss it? Watch the episode here]. She made the tribe proud. She was SO good and the publicity Stella & Dot received from the episode was SO great that all the new traffic actually crashed the website! Not only that, but Stella & Dot's mission resonated with so many women that we had 900 new stylists sign up the very next day! That's amazing!! To access a FREE one-page checklist, click the box below and sign up for the Freebie Club! 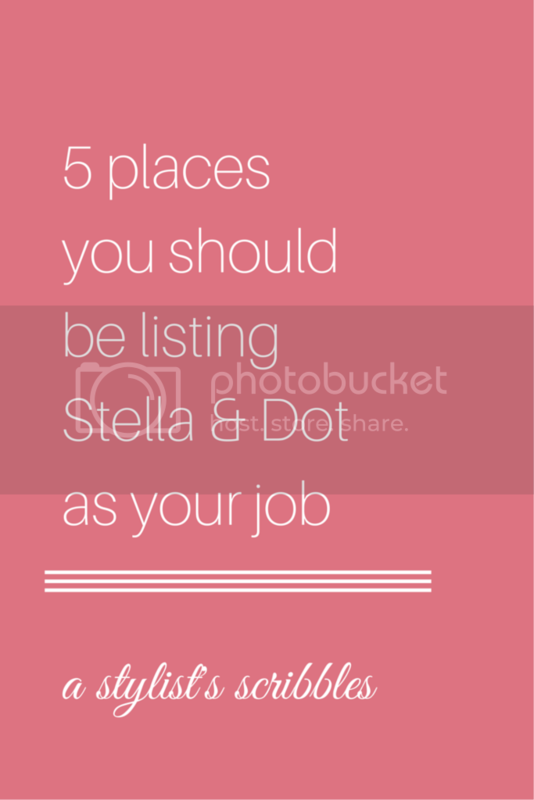 So, in the spirit of company pride, I'd like to mention five key places you should be listing your Stella & Dot business. 1. Your email signature: This is the very first place I recommend you update your job status. If you haven't done this already - go do it NOW! I used the signature generator that is available in the Stylist Lounge here and it's just perfect. Think about it - you probably send anywhere from 5 to 25+ emails a day. You can passively "plant some seeds" with every single one of those recipients if you have an updated signature. Tip: Whether or not you use S&D's template signature, be sure to link to your PWS! 2. Facebook: Facebook has been a great tool for me in my business. It's not only a way that I can reconnect with old friends and tell them about S&D, but it also gives me the opportunity to share my story with a wide audience. Stylists can use Facebook for promoting their business in two distinct ways: using their profile page or setting up a business fan page. I'm personally an advocate for setting up a FB fan page. My fan page [here] gives me a space to talk about S&D - and talk about it A LOT. I would feel so pushy if I put that many posts and pictures about the business on my own personal page. Facebook also gives fan page owners access to a huge number of 'insights' like how many people viewed your post, number of times your link was clicked, statistics about where your fans live and how old they are. Tip: If you're ever stuck on what to post on your FB fan page, check out this group feed with 70+ stylist fan pages I've found along my way - bookmark it for when you need inspiration. 3. LinkedIn: If you have worked in another industry before starting your S&D business, chances are you have heard of LinkedIn before. It's like Facebook but for professionals. You may even have your profile already set up if you're no stranger to networking in the corporate world. Since I added my Stella & Dot business to my profile, I have had a ton of inquiries about the business and two new stylists join my team who learned about the opportunity first from my profile. 4. In person: Talk to people about the business everywhere you go. It's a numbers game. 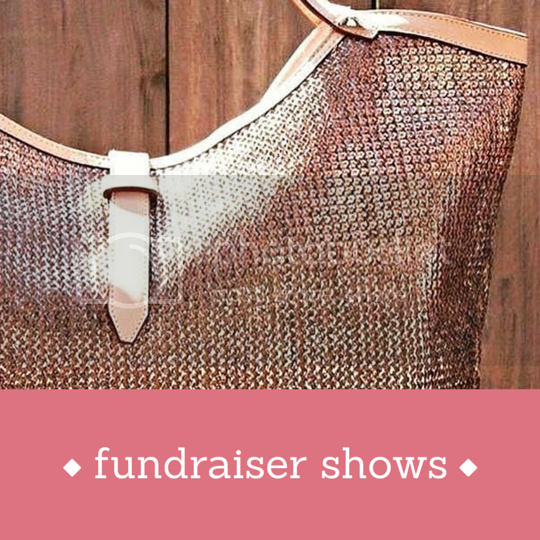 The more people you talk to, the more you'll book with and the more you'll sponsor. We want to spread the love and share this amazing opportunity with as many people as we can. Stella & Dot filled my cup. I bet it fills yours too, in some way or another. Don't you want to help other women fill their cups? If you're not interested in starting a team, that's okay! 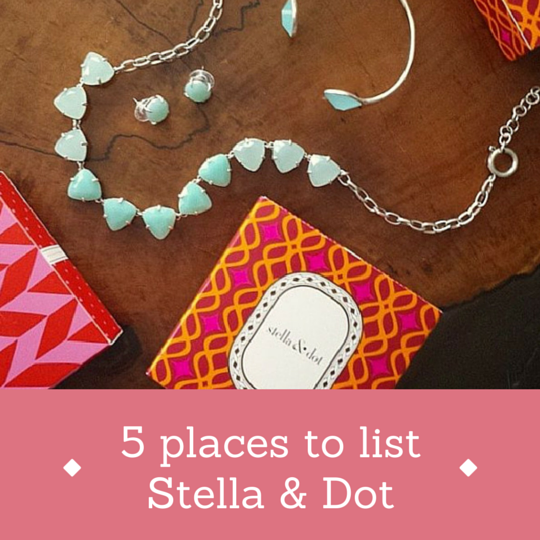 Stella & Dot can help her find something special even if it's just a lovely new necklace to round out her jewelry wardrobe. 5. Your résumé: Seriously. DO NOT LEAVE IT OFF YOUR RESUME. You have learned a million things about yourself and about business through Stella & Dot, even if it's just a side hustle. For example, you know how to market yourself and your product; you know how to make and build relationships with clients; you know how to manage budgets and finances; you know how to track and manage inventory (your samples); you have honed your time management, customer service, and networking skills. Every single one of these things will be advantageous to bring to a new employer. Toot your own horn, ladies! 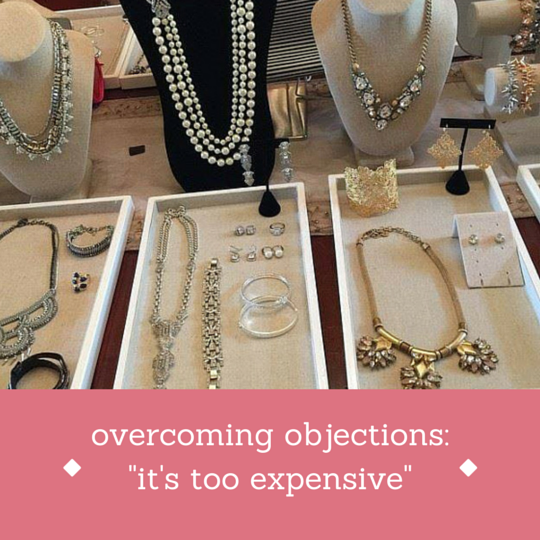 I know that Stella & Dot has brought a lot to my life. It has allowed me to embrace my creative soul and tap into the entrepreneurial drive I've had for years. I love sharing the opportunity with everyone I know and I hope that you'll learn to do the same. It is simply irresponsible NOT to let people know about S&D! 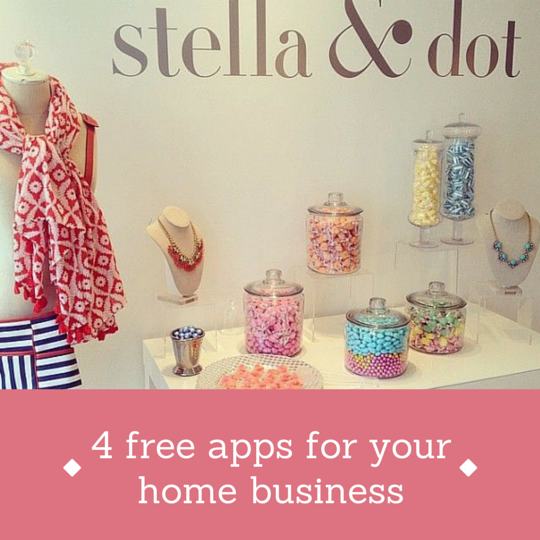 Tell me: Where else do you list your Stella & Dot business? Leave a comment below. 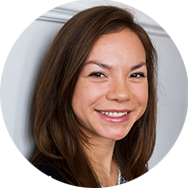 Great Blog thanks for reminding me of the important points to the business I get distracted with other things and need to get back on track sometimes...I will keep tuned in regularly to your blog it is a great tool! I'd love to hear if there are any topics you'd like to see... I'm always open to ideas!! !